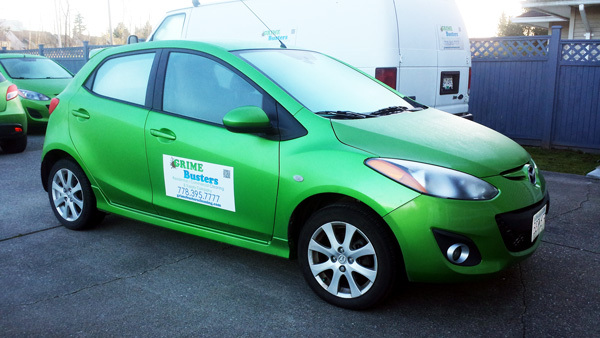 For over twenty years Grime Busters Cleaning has provided first class commercial and residential cleaning services in the Lower Mainland including Vancouver, Surrey, Cloverdale, White Rock, Burnaby, New Westminster, Richmond, Delta, Coquitlam, Abbotsford, Chilliwack. Our specially trained staff are focused on providing your residence or commercial property with an unparalleled cleaning experience and results we can be proud of. 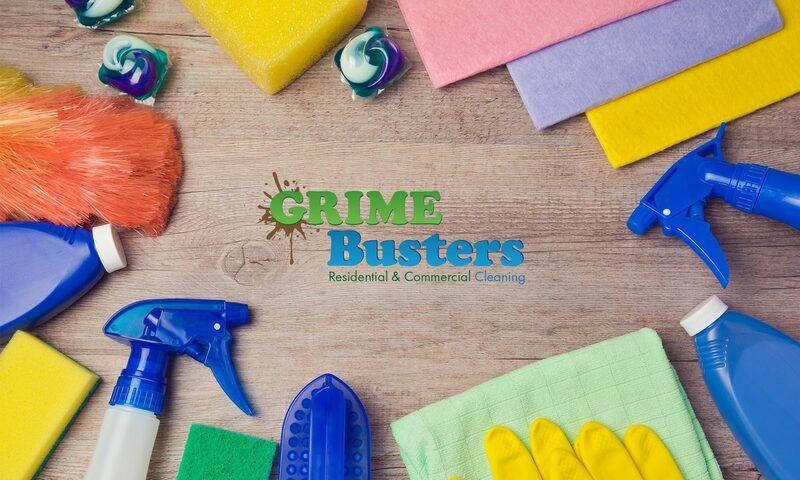 Whether you need residential maid service, a commercial janitorial team to manage your business or building, or a post construction clean-up crew, Grime Busters gets the job done right and on time. Yes, we are fully licensed, bonded and insured! or fill out the form at the bottom of this page! Get 10% off a cleaning when you refer a friend or business! Get 30% off your first move in / move out cleaning for a minimum 4-hour cleaning. $50 off first post-construction clean-up for a minimum 4-hour cleaning. Below are some testimonials from our awesome customers, and you can find more on our Yelp Page! “Grime Busters Services has been cleaning my offices for several months and the work they perform is beyond comparison with other cleaning services I have had in the past. They are dependable, efficient and thorough. The finished product of their efforts is superb, and our clients always remark on the cleanliness of our offices. I recommend their services with the highest rating possible. “I wanted to take a moment to tell you how valuable Roger and I find our relationship with you, your staff and Grime Busters. Over the years, we have had numerous cleaning crews that have come in to clean our homes. One by one, for one reason or another we have had to part ways with these companies. You folks by far, are the best group we have ever had in our home! Your flexibility with our schedule, your attention to details, your quick responses to queries is all very much appreciated. Your team is prompt and friendly and we always have a sense of trust, honesty, and integrity – all important things when you’re having people into your home. Your candour at our first meeting has continued to follow through in the years that you have continued to work with us. Yes we do offer gift certificates but you need to contact us directly. Phone or email us for more details. It usually takes us longer to clean the house the first time because there are areas of the home that we will be cleaning that haven’t been cleaned in quite a while. We only charge extra if extra time is required. 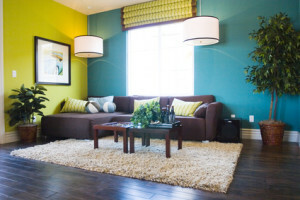 Do you check the background of your home cleaning professionals? Yes we do, in fact we will not even consider the recruitment of any new home cleaning professional unless they have a minimum of 2 verifiable references and a stable previous work history. Our entire home cleaning professionals are bonded and have no felony convictions. We also do random drug testing if deemed necessary. How do you get into my house if I’m not at home? Most of our customers are not at home when we come to clean. We will make personal and confidential arrangements with you on how to gain access to the house. If we are unable to gain access to your house for a regularly scheduled cleaning, we must charge you a flat fee of $25 to compensate the cleaning professional’s loss of time and driving expenses incurred. Do I have to do anything before Grime Busters arrive? 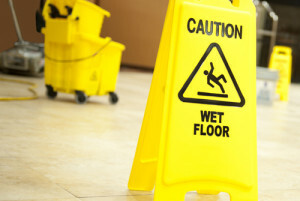 We provide all the cleaning supplies and equipment to thoroughly clean your premises. For hygienic purposes, we use a different set of unused clean cloths and vacuum bags at each premise. If you have a central vacuum that you desire to see us use, we will be glad to accommodate that. 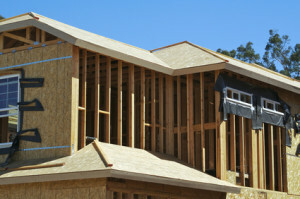 We are full licensed, bonded and insured! We do carry full liability insurance coverage. While every effort is made to use great care in your home, sometimes accidents do happen. Our home cleaning professionals are trained to immediately notify our office (and you) if something is broken or damaged so that we can handle the situation as quickly as possible. If we should break or damage something, we will make every effort to have the item repaired or if necessary it will be replaced. We limit our loss to the replacement value, repair cost, or $1,000, whichever is less. What time will the cleaning professional be at my home? Our normal hours of operation Monday through Friday are from 8:30 a.m. to 5:00 p.m., excluding official holidays. If you require us outside these times, it can be arranged by contacting us. No, there are no complicated contracts. The only thing we ask is, if you must cancel a regularly scheduled appointment, that you do it at least 24 hours in advance. Our home cleaning professionals are paid for each home they clean – a cancellation without enough notice to reschedule another appointment directly affects their remuneration, and we could have rebooked them. Do you send the same person every time my home is cleared? We try to, but that doesn’t always work out. All of our home cleaning professionals are bonded and insured and provide the same level of consistency that you have come to expect from us, so you will receive the same quality service no matter who the home cleaning professional is. However, if for whatever reason you would like to make a change, please do not hesitate to ask and we will accommodate you. Who can I expect to see to clean my home? Our teams normally consist of two home cleaning professionals. One normally is focused on the dry areas (dusting, cleaning dry areas, vacuuming, sweeping, etc) while the second works on wet (bathrooms, kitchens, floors, etc.) If you are doing cleaning with us on a regular basis, you can expect to see this team. If one of your regular home cleaning professionals is sick or unavailable, a professional substitute will accompany your other regular home cleaning professional to complete your cleaning on schedule. If it is an unusually large job, we may send more additional cleaners, but this is seldom ever required. We do not require payment until the completion of your cleaning. If you are not going to be at home, please leave a cheque made payable to Grime Busters Cleaning on the kitchen counter along with any additional information you want us to know. We also accept cash or you can use your Visa or Mastercard if you provide us with your personal details ahead of our scheduled visit. What can I expect to pay for a total home cleaning? The price can vary depending on the size and need but an average home cleaning takes two home cleaning professionals approximately two hours to complete at a total cost of just over $100. Take a minute to fill in our online home estimate with your particular details to get a price to clean your home. Please call our office at least 24 hours in advance. Why should I choose Grime Busters? We do not hire employees; employees come and go. We only use professionals who are committed to the cleaning industry and to the complete satisfaction of cleaning your space the right way. It’s our long-term job and livelihood. So when you hire our home cleaning professionals to clean, those who do the work for you, receive the reward for their efforts. Over 85% of what you pay for your service goes directly into the pockets of cleaning professionals who cleaned your home or office. And we provide the security you would expect to find in much larger companies only at a much more competitive rate. Appointments cancelled within 24 hours of scheduled time will be charged a $50 cancellation Fee. Fill out our form below and we’ll get back to you asap!